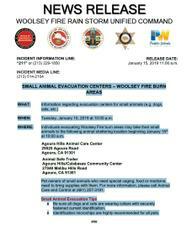 WHEN: Tuesday, January 15, 2019 at 10:00 a.m.
WHERE: Individuals evacuating Woolsey Fire burn areas may take their small animals to the following animal sheltering location beginning January 15th at 10:00 a.m.
Care and Control at (661) 257-3191. 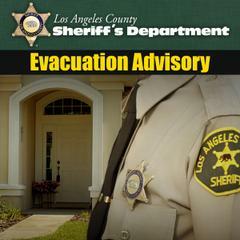 Be sure all dogs and cats are wearing collars with securely fastened current identification. Identification microchips are highly recommended for all pets.